Centre Parcs Villages Nature's Paris - 6km for Disneyland Paris! I haven't looked into any travel arrangements, so this is for ACCOMMODATION ONLY. However, a friend is going to Centre Parcs Longleat this October Half Term and has paid over £1100 for accommodation alone. 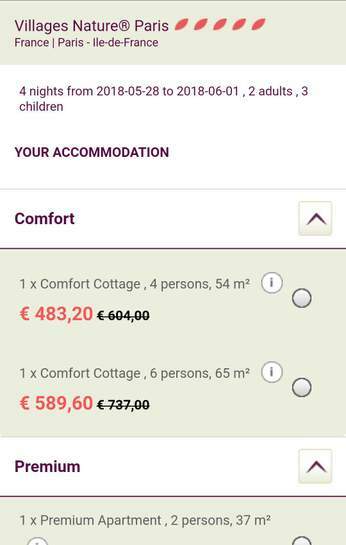 For a family of four the accommodation is roughly £431 and a family of five is £526. The dates I have used are for half term in Dorset and they may vary around the UK. I chose 4 nights, Monday to Friday from 28th May to 1st June 2018. 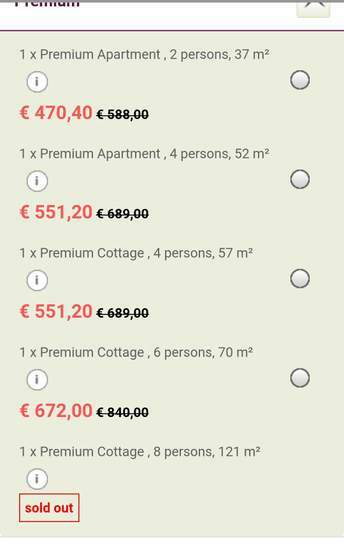 Seems to be various options for party sizes and I think the Centre Parcs Villages Natures Paris looks just wonderful. It's still being completed, though is mostly finished as a friend stayed recently. It looks stunning! Thank you so much, I didn't know you could do this. We can't afford to go but thought it would make such an amazing holiday! Thanks OP, was going to do UK center parcs again next year but now tempted by this! IIRC this is right next door to the DLP Davey Crochet Ranch, and were building it when we stayed last year. It's an easy drive from there to Disney :grin: and SO MUCH CHEAPER. Great find op!